This? This freaking executed shamelessness with an eloquence of an imperial empress, a shamelessness of a professional prostitute, the narcissism of a spoiled princess, an ego as big as the sun, confidence as smooth as the air. f**king brilliant! At the very least, those other shameless guys had some conscience to admit there are other guys that's more handsome than they are (Grisia and WWX), but Qi Shaorong, our MC in this novel, kept boosting his own beauty even in front of the most sought-after man in the whole kingdom. Seems very interesting and I like it so I am going hang on to this new novel. Btw the translation is amazing. Easy to understand and just great. I read another novel by this translator called let me tease you. That novel was great. This translator has great taste in bl novels. So far, there's no further development to the plot and the story remains light-hearted, akin to a slice of life, comedy story. However, I see some underlying flags of dramas and more face-slapping. I love the MC so much. Some novels also have shameless and... more>> narcissistic MCs but they never lived up to expectation and even turns out annoying. But this one's different. I have so much fun whenever he opens his mouth, it's so amusing. I'm also very interested at how almost all his people (as of now) were all underestimated characters, and I'm antipating how things will end. The story's good, and the MC is out of the box. I almost think that the ML doesn't deserve the MC. Lmao money grubber MC who likes handsome/pretty males, I'm up for this! It has an interesting plot, but character development needs a lot of work. The Main Character might as well be classified as a wallflower. The world is also not explained at all. "Magicians??? What?" The translation is on point. The only thing I dislike about the translation is how they add a colon instead of a comma before a person speaks. When someone compared MC to the 3 legendary shameless character i.e. Ye Xiu, Grisia and Wei Wuxian. I had high expectation from him. Guess it was too high coz I was so disappointed. I couldn't even finish first 25 chapters. The dialogue was cringy. Maybe I didn't get the humour. The only time I laughed was when ML cracked one joke! I couldn't see any eloquence nor any intelligence. Just shamelessness and he talked too much!! If you read the other reviews and were put off by people calling this a crack fic, don't listen to them. This can not qualify as crack, at most it's crack taken seriously. It's just that our MC really, really, doesn't care about the opinions of other people, which... can you blame him? The setting of the story... this might come off as rude so excuse me in advance, but if you can't pin down the setting then you need to go read more Chinese novels. 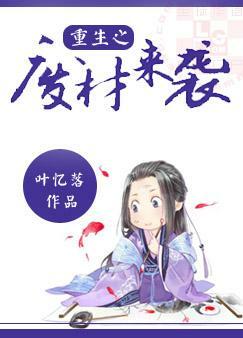 The author doesn't go... more>> into detail about it because the Xuanhaun genre and other related ones are really freaking common in Chinese media. It's like asking them to explain what an elf is or for them to go into detail about the intricacies of mage vs warriors or what the heck a slime is. It just doesn't need to be done, so they don't. Anyways, this genre generally has a lot of manipulative schemers who only care about reputation and power. Our MC, who was very wealthy and successful in his previous life doesn't care for that kind of stuff so he really goes at his own pace, not letting anyone's unspoken rules affect him. He's very shameless about his love for beauty so he says and does things that are out of the norm, which might seem crack-y, but it's not like it came out of nowhere, it's just his generally rebellious attitude. The MC is a super-sassy gay man who cracks me up. He hides his appearance using disturbingly heavy makeup when he's using his real name and wears a mask when going by the moniker of "Ghost Doctor." I adore his personality and love his hidden identity. It leads for a lot of funny moments when his no-good family is trying to schmooze up to the doctor and his ex keeps flirting with him when he's disguised as the doctor. The MC has no interest in showing off to woo his ex... more>> back, which is a relief. He is more concerned with earning money and treating his patients. He has a business venture going on in the background with a couple of friends of his, which actually also makes him incredibly wealthy. He was thrown out as the trash of his family when he was only five years old, but he's hidden his claws and made a killing by hiding his identity. This is a very fun read and I recommend it. @xtruthxliex, some of novel didn't add explanation of their world magic and stuff like that because that explanation will be explain in some events like battle or found something mysterious. And this novel will do that in the battle event between MC and ML. ... more>> And please, all because of ambigue from novel (or manga), is for making some vibe that author can add more and more idea story like adding strange character, stuff, animal ect. Just wait till you read the end of story and you can say like what you say in your comment. Maybe you all will not like MC first, but MC has his own reason. MC didn't like how ML see his own character without research. Remember MC is 'doctor'. MC will allow someone use assassint for seeing his own activity (just from where the assassint come from, is the limit he can give). MC is very funny, can't stop reading this novel hahaha (σ^▽^) σ poor ML always be fooled by MC. Dense ML who can't see the darkness of world (bc he is young master). In first their relationship is very poor. No one want to see their own true feeling. But fortunately, ML is the one who fall in love first. So the rest of the story is how ML melt MC cold heart. MC is hilarious. ML is adorable in a way. Love the story. Mtl was easy to read. Not a bad read. Fairly readable via MTL. A solid 4.5 star. The ending was a bit rush and should have focused on their kids as children instead of using a few chapters to build a completely new ship for them. Still unsatisfy about this ahhh want somemore.